What it is: An innovative matte powder lip colour that uses a sponge applicator to deliver a dose of on-trend matte colour. Beauty bonus: The sheer wash of colour provided by this powder feels very cool. Beauty bummer: While we liked the look, we found it didn't wear very long. Overall: We were not sure how this product would pan out. Powder for lips? Sounds like a recipe for, well, dry lips. 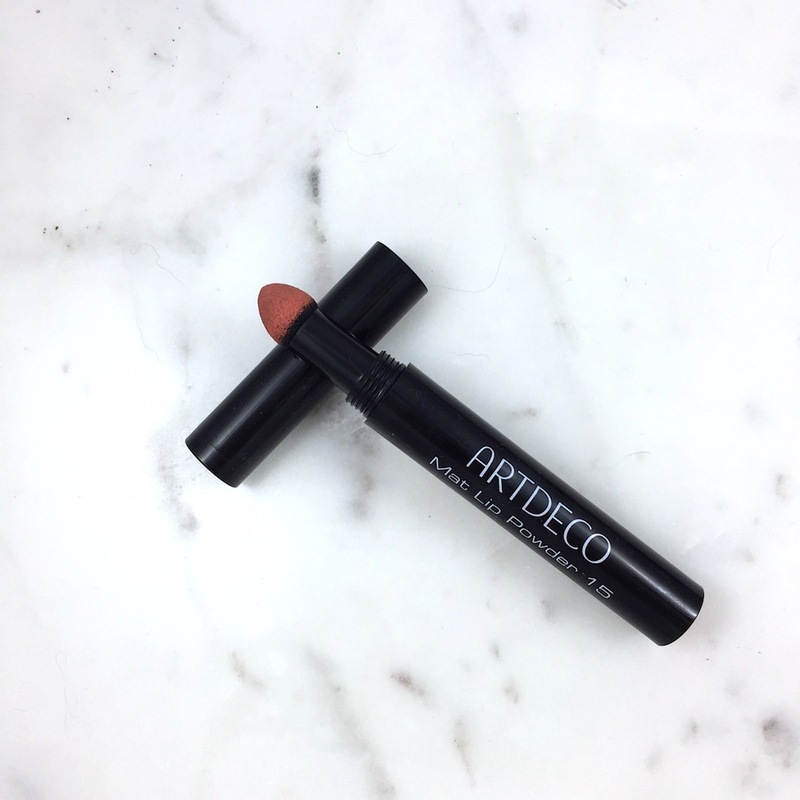 But, the formula boasts almond oil, so absolute dryness isn't really a problem and the feeling on lips was quite comfortable. Colour payoff is quite diffused and muted, a look we spotted on the autumn runways, so, for us right now, it feels updated and fresh. While the powder goes on surprisingly saturated, the product application is a little on the imprecise side. A well-defined lip look will be very difficult with this but an effortless, lived in look? This one nails it. Would recommend? Yes, if you're looking to recreate the blurry-lipped look that's so big on runways.